For adults only. May cause drowsiness. 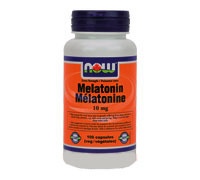 Do not operate a vehicle or heavy machinery following consumption of melatonin. Consult physician if pregnant/nursing, taking medication (especially sedatives and anti-depressants), or have a medical condition (including depression, high blood pressure and epilepsy). Keep out of reach of children.